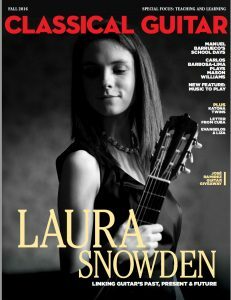 Way back in February I did an interview for Classical Guitar Magazine, and had almost forgotten about it, but it has finally been published in the latest (Fall) issue, featuring Laura Snowden on the cover. So far I’ve been fairly impressed with the new incarnation of CG magazine. It’s nice to have more colour, and there’s a good range of features and interviews, and even some music to play! 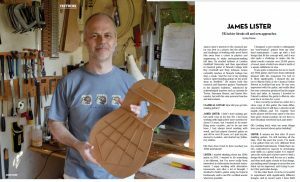 In my interview, I talk about the milestone of reaching my 100th guitar, and about my interest in using non-tropical and sustainable woods in my guitar building.